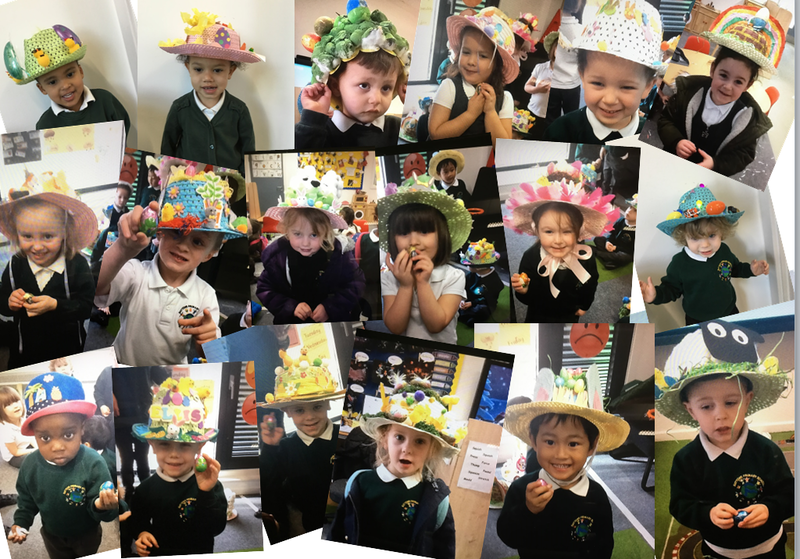 We were blown away by all the Easter Bonnets we saw in school today. We belive we had over 100! We saw some amazing creations. Mrs Ryan and Mrs Audritt had a very difficult decision to chose a boy and girl winner from each class. Well done to our winners and to everyone for their amazing efforts. Thanks you to our two wonderful judges. 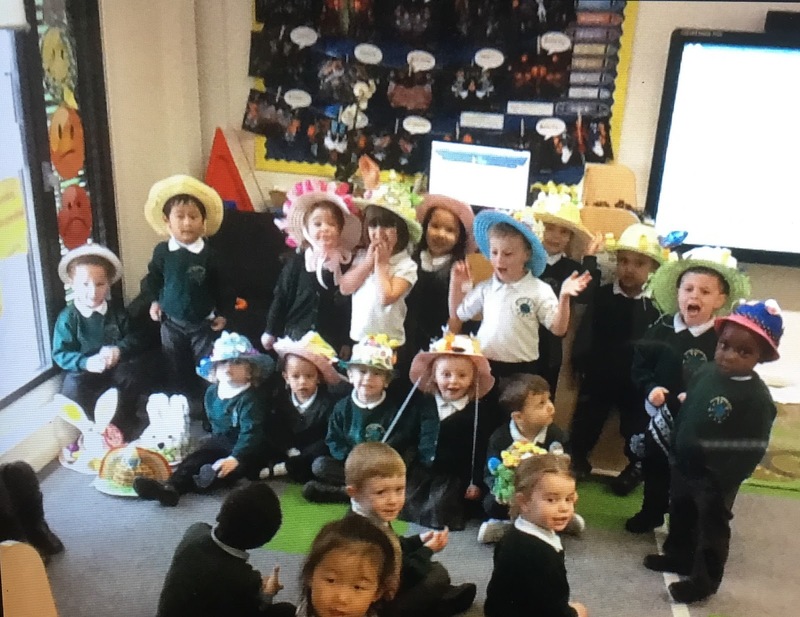 Getting ready for our combined Nursery/Pre-nursery Easter parade. Don't we all look AMAZING? 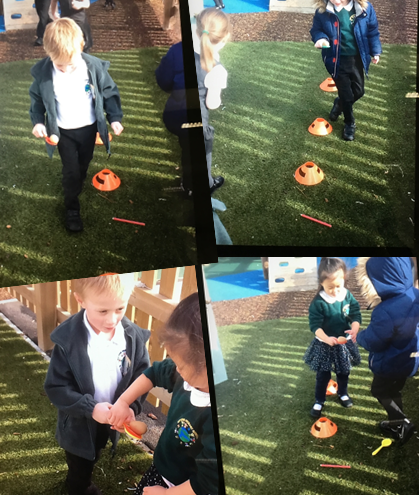 We engaged our fine motor and gross motor skills through balancing an egg on a spoon while zigzagging through the cones and learned to take turns. Following the children 's fantastically creative Easter Bonnets (congratulations to Gemma and Ollie who won in assembly today) 4JI embarked on an Easter Egg Hunt! The children were split into groups and each given a clue. The first letter of all the clues they solved helped to unscramble a location where the Easter Eggs were hidden! The children enjoyed this immensely and then got to enjoy an Easter Party! The winners were George and Selin. Well done Blue Class. All of your Easter bonnets looked amazing. 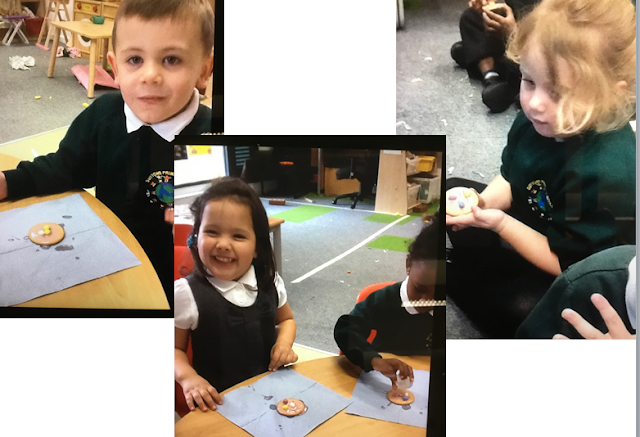 Reception Blue class - Making chocolate cornflake nests. Blue Class liked making chocolate cornflake nests. What happened to the chocolate ? The children mixed the cornflakes into the chocolate ready to put into the cases. The chocolate cornflake nests were decorated with a chick and chocolate eggs. We hope you enjoy your chocolate cornflake nests and Happy Easter. Reception - World Book Day. As part of World Book Day and Sports Relief we dressed up as our favourite characters and helped raise money for charity too! These are some of the pictures from our yoga day. Did you know that yoga means connect? 5AK - World Book Day! 3NL - creating art with fruit! Shaking Up Shakespeare... Day 1! 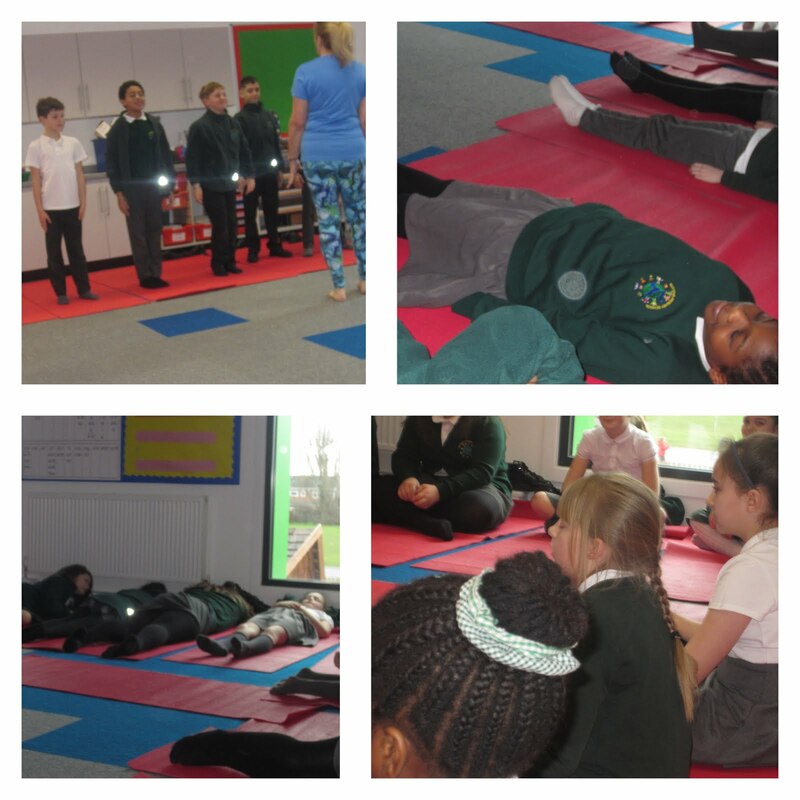 3NL - Breathe, Relax and Yoga! 5AK - Sanders Transition Workshop! 5AK - R.E. - Singh Sabha Gurdwara (Sikh Temple)!